RANGERS were held to a 0-0 home draw by struggling Reading. 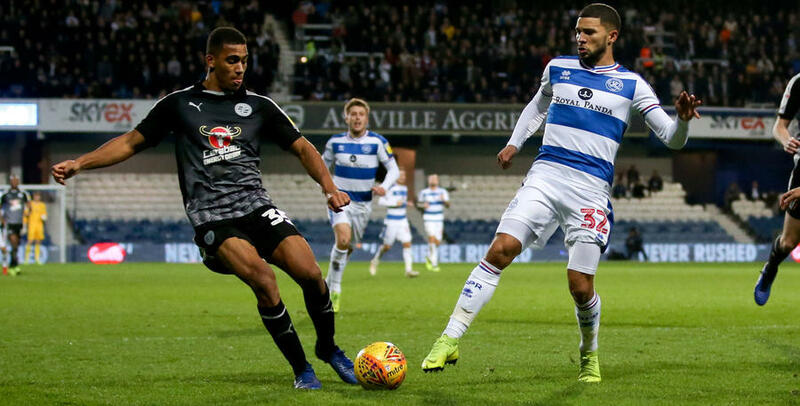 In truth, Jose Gomes’ Royals dominated possession for long spells at Loftus Road, and didn’t look like a side now winless in nine league outings. Steve McClaren’s men improved late on but ultimately couldn’t find a way to goal, with Toni Leistner twice striking the crossbar for the hosts in this stalemate. Following a third victory on the spin, over Ipswich Town on Boxing Day, R’s boss McClaren made one enforced change for the visit of Reading. Mass Luongo’s involvement in the 2019 Asia Cup means the Aussie international is now unavailable for selection until at least mid-January, dependant on the Socceroos’ success in the tournament. So Jordan Cousins came into Rangers’ starting line-up against the Royals. 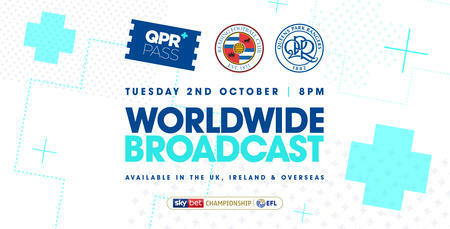 QPR, in their now-accustomed 4-4-1-1 formation, lined up as: Joe Lumley; Darnell Furlong, Leistner (captain), Joel Lynch, Jake Bidwell; Pawel Wszolek, Cousins, Josh Scowen, Luke Freeman; Ebere Eze; Nahki Wells. In contrast to Rangers, Reading went into this Championship clash amid a real difficult run of form – four defeats in six and without a win in eight. However, the visitors controlled proceedings early on, even though clear-cut opportunities were scarce. QPR looked lethargic for much of the first half an hour, but did defend their goal well. 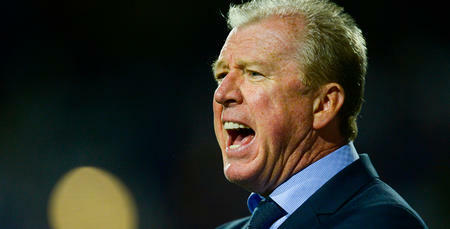 McClaren’s R’s also had the first notable effort of the contest in the 29th minute. Bidwell’s hanging left-flank centre was headed goalwards by Wells, but the attempt did little to trouble Royals goalkeeper Anssi Jaakkola. Reading responded with their maiden effort two minutes later. Yakou Meite’s turn and shot, following Garath McCleary’s ball in from the right, sailed handsomely wide of the target. A minute later, John Swift also tried his luck for the visitors, poking over from 12 yards after his initial attempt was blocked. But it was Rangers who went closest to scoring in the first period, 10 minutes before half-time. Freeman’s inswinging corner from the right was only half-cleared by the Reading defence and, when the ball eventually trickled into the path of Leistner, the R’s skipper struck the bar from eight yards. The visitors also threatened an opening goal in the 39th minute. Lumley produced a smart low reaction stop to keep out Meite’s header, following Swift’s right-wing corner kick. Goalless at the break, then – and, up until half-time, this was far from Rangers’ finest showing of the season. However, importantly, QPR remained on terms. 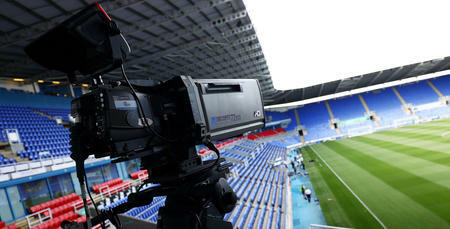 Once the second half was underway, Reading again began brightly – twice going close in minutes 49 and 53. First, Swift’s 30-yard free-kick dropped onto the roof of the net, before Lumley was forced into an excellent point-blank save to keep out Omar Richards. At the other end, the R’s had strong appeals for a penalty rejected just before the hour mark, after Wells went down in the box in a challenge with Andrew Rinomhota. Meanwhile, in the 61st minute, the striker almost capitalised on a weak header back to the visiting goalkeeper, but could only blast wide with his weaker left foot from close range. Rangers were now beginning to show a little improvement and, six minutes later, Eze’s clever through pass freed Wszolek – only for Reading custodian Jaakkola to race off his goal-line and avert the danger. Then, in the 70th minute, Freeman’s well-worked corner was blasted over by Wells on 14 yards. QPR’s next opportunity arrived following a long throw in the 76th minute, with Bidwell’s volleyed attempt from 20-yards out deflected wide. Three minutes later, Freeman went even closer with a spectacular volley from a similar distance, as visiting ‘keeper Jaakkola pulled off an outstanding flying save to tip the ball to safety. The R’s were now firmly knocking on the door and, in the 80th minute, Leistner stuck the crossbar once more, after Freeman worked the ball into the penalty area. In the same move, Cousins also subsequently curled just wide. In the 86th minute, Wells’ glancing header – from Bidwell’s lofted left-wing centre – dropped past the foot of the right-hand post. As Rangers searched for a late winner, Ilias Chair replaced Eze in the final minute of normal time. Four minutes were added on at the end, and Matt Smith was also introduced, for Scowen, in the third minute of injury time. But it was at the other end where the final piece of drama took place. Following a Freeman corner, Reading broke on the counter attack. Rangers’ Lumley was eventually forced into a stunning one-handed save, flinging himself to his right to keep out substitute Danny Loader’s 20-yard attempt. WATCH highlights from QPR's 0-0 draw against Reading at Loftus Road.